What are then the advantages of recharging online? Why is the world going crazy about internet and internet related activities? Why is it that service providers of different types of service like telecom operators enabling cellular connectivity, data services and direct-to-home TV services, metro carriers, cable TV operators, electricity boards and private operators, educational institutes like schools and colleges, cooking gas providers and other such providers of utility services getting themselves tuned to this new gen technology? Why are they investing lots of money in improvising their website and launching their e-Apps? This is all because every service provider today wants to give the best of service to its customers. They want their customers to not only enjoy the service after payments but also during the process of making payments or doing online recharge. As we all know a satisfied customer may or may not propagate about a service provider but an unsatisfied customer surely will. On an average it has been found that a customer who experiences even a single unsatisfactory event in his transaction or interaction with a company, will not only switch to the company’s direct competition, he will also tell at least 15 other people about his experience and dissuade them from continuing with the former company or trying the former’s services. This is the power and strength that customers enjoy today. The other factor that is quite important here is that internet is easily accessible today. It’s right there on the customers’ handset. As per records, about 5 billion people in the world had a mobile phone and active connection last year. As per recent estimates by United Nations, the world has a total population of about 7.6 billion people of which 4.2 billion people live in urban areas. Hence it is imperative for all organizations that envisage reaching the pinnacle in their industry, whatever be the industry type or format (business-to-customer or business-to-business) get their act together before it is too late. They need to recognize the worth and value of conducting business online –whether it is simply selling their product or passing information about their work. 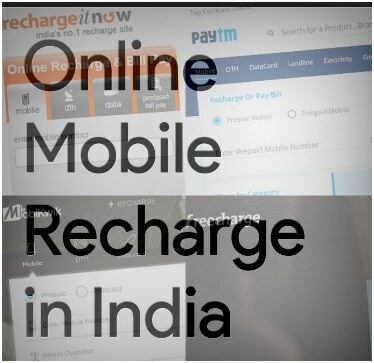 Especially for services which directly affect millions and millions of subscribers, the company needs to facilitate better standards using internet for example, a mobile phone operator providing the facility of online recharge to all its prepaid customers or tying up with some of the popular and trusted third party sellers like Phonepe, Mobikwik and Paytm to facilitate online recharge as well as payment of bills for their subscriber base.